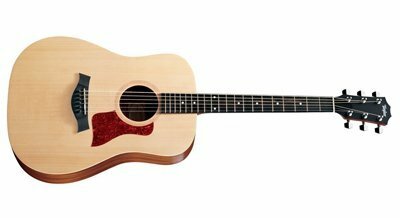 →What is the Best Beginner Acoustic Guitar Available Today? 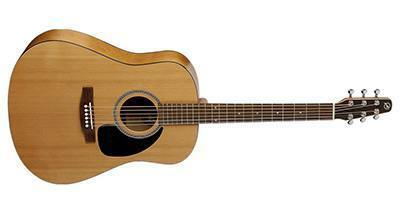 Buying an acoustic guitar as a beginner guitarist is no easy task. With a market packed full of bottom dollar guitars claiming to be the ultimate or best beginner acoustic guitar, it can be difficult to thin the herd and find the actual best guitar to get your (possible) acoustic guitar career started. With over a thousand acoustic guitars currently on the market geared toward beginners, finding the perfect match for your playing style and aspirations can be confusing and frustrating, so knowing what to look for in a guitar is a must. With the proper knowledge, finding the right guitar will be easy, and even fun. In case you're in a hurry, and before we get into more detail about about what to look for to find the best beginner acoustic guitar for you, lets have a quick look at our top 5 acoustics that we feel would be fantastic introductory guitars, while not skimping on quality. For more information on all 5 of these guitars, just skip to the end of the article. Brides and saddles in beginner acoustic guitars, like electronics, tend not to deviate often from a basic two wood option: rosewood, or ebony. Most beginner guitars will use rosewood, as it is a cheaper alternative and it has fairly good tonal qualities. Some newer entry level acoustic guitars, however, are made with an ebony saddle, which adds a bit of punch to the overall sound of the guitar. This is due to the fact that ebony is a less porous and more dense wood. Though buying a guitar is a personalized process, having a good starting point can allow you to narrow down your choices from hundreds to a select few guitars to get your feet wet with. Following are five of our top selections for beginner guitars, in order to help you make your decision that much easier. See our full review of the Seagull S6 here. Seagull g﻿uitar﻿s are renowned for their quality to price ratio. Generally toward the lower and middle price ranges, Seagull instruments don’t break the bank, but they play like dreams. The S6 is a beautiful example of a beginner instrument done right, with a cedar top and wild cherry backs and sides, this is a guitar that truly sings. Also, check out our full review of the Taylor BT2. 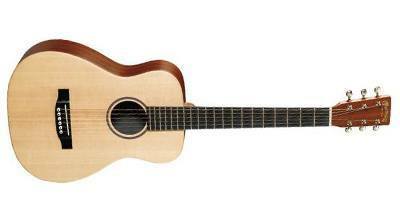 Taylor is one of the most famous acoustic guitar manufacturers in the world. Their instrument generally range anywhere from just under a thousand dollars to multiple thousands of dollars, and for good reason: their build quality and tonal wood choices are second to none. The Baby Taylor is a Sitka and sapele guitar with an excellent sound that can last well beyond those early beginner years. 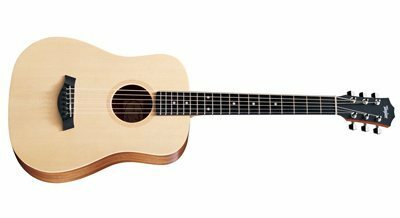 See our full review of the Martin LX1 here. Another acoustic guitar giant, Martin is an excellent company that makes some truly gorgeous sounding instruments. 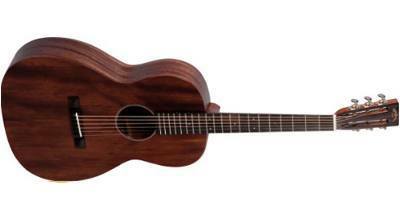 The LX1 is a sapele guitar with a bright tone and a ¾ dreadnought shape, scaled down for fret accessibility and quick familiarity. Perfect for beginners with small hands or who have trouble sitting with a full sized dreadnought. Check out more on the Big Baby Taylor here. Another well-crafted instrument from Taylor, the Big Baby has perfect upper fret access due to its innovative heel-less design, a trade mark of Taylor guitars. As a full sized dreadnought, the Big Baby is a rather large guitar, however it does not embody that typical dreadnought sound. The Big Baby is a little sweeter, and a whole lot more tonally intricate, than its other dreadnought relatives. Sigma does not have the long history that the other companies listed have; in fact, Sigma, until recently, was relatively unknown. In recent years, this small company has made a massive impact on the budget acoustic guitar market, and for good reason, too. With quality design, and quality woods, the Sigma S000M-15 is just one example of the fine craft Sigma puts in to each and every one of the instruments it produces.